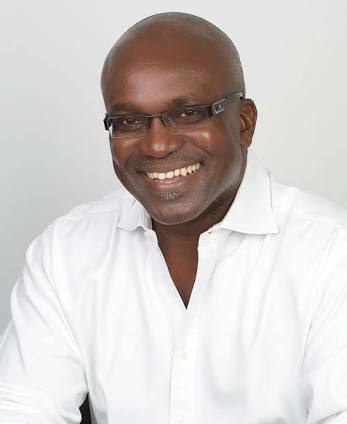 Dele Ogun, is a talented Londoner, a Nigerian-born intellectual, a lawyer, presenter, international speaker and commentator on current affairs, a polymath and author with strong connections still to Nigeria. Called to the Bar in 1985, he has been in practice as a Solicitor since 1995. He attended the Inns of Court School of Law for his call to the English Bar also in 1985, and the Chartered Institute of Taxation to become a Chartered Taxation Practitioner. An alumnus of the U.S. State Department’s International Exchange Programme, he has been a panellist in several high-level discussions on Nigeria including the Guardian newspaper’s debate Nigeria: Africa’s Superpower chaired by Jon Snow of Channel 4 News; the Ditchley Foundation’s conference on The Prospects for Nigeria chaired by The Rt. Hon. Baroness Amos; and BBC Radio 4’s Today Programme. Dele Ogun obtained his LLB from London Metropolitan University in 1984 and his LLM in Company and Commercial Law from the London School of Economics in 1987. After many years of service at Price Waterhouse Coopers LLP and in practice with Hogan Lovells LLP, he founded his own law firm, London-based Akin Palmer LLP, where he has served for over 21 years. He also has a practice in Lagos, Nigeria. He is a lawyer for big occasions in commercial litigation, international arbitration disputes with special expertise in franchise agreement and franchise disputes, shareholder agreements and general contract disputes. Recent cases have been high profile representation of litigants against Specsavers Optical Group. He enjoys self-expression as an author with his membership of the Society of Authors. 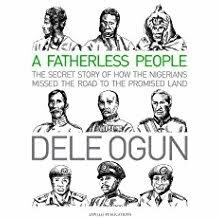 His recent book: A Fatherless People was launched to rave reviews on Amazon and is a detailed history of Nigerian leadership, from the earliest days of British Colonialism to the present. It follows his autobiography, The Law, The Lawyers and The Lawless. Anyone interested in British colonial history, and how as the result of this, Nigeria became effectively one nation to the outside world, though internally riven with strife among its multitudinous ethnic groups–the main of which are the Igbos, the Hausas and the Yorubas – should read this book. It outlines in graphic detail – and without mincing words – how the colonial British rulers played a duplicitous role, not keeping promises made, and pitting one ethnic group and one region against another. This amalgamation is formally called the Federal Republic of Nigeria. After a lot of tension and warfare such as the Biafran War – Africa’s largest and wealthiest state is now being called by some, The United States of Nigeria. Dele says that Nigeria’s troubled history has spawned a sizeable and growing Diaspora community in Britain for whom the history and prosperity of Britain and Nigeria can never be viewed separate and apart. As a student Dele worked as night security guard in various city establishments, some of which he later revisited for client meetings as a lawyer. He views this as formative, counting himself fortunate to have had the opportunity to see life through the different ends of the telescope. For more information, visit www.deleogun.com.